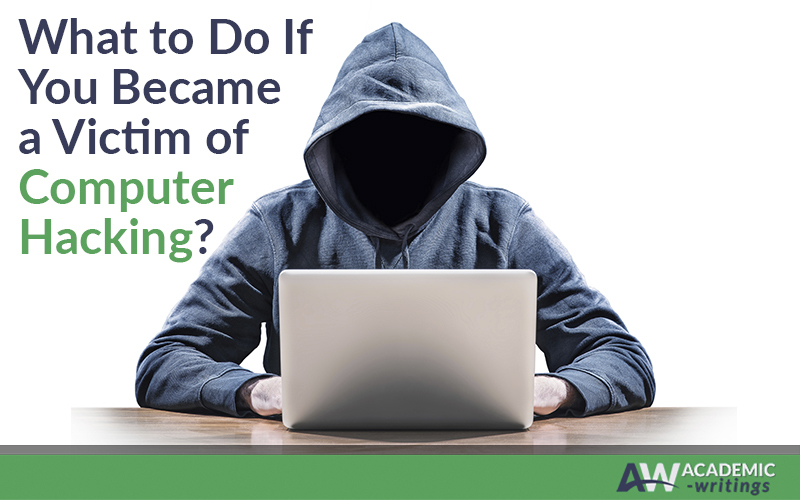 What to Do If You Became a Victim of Computer Hacking? Your computer is under threat of unauthorized use every time you use it to get access to the Web through unsecure Wi-Fi. In addition, modern hackers are smart enough to get past firewalls and lure unsuspicious users into sharing their private data. Unfortunately, many gadgets get intruded nowadays, so you should know how to act when experiencing hackers’ attack. Every time you use Virtual Private Network, your location, IP, and host remain anonymous. VPN also prevents hackers from finding out the data you share through the Internet such as personal documents, logins, and passwords to online accounts. If you worry that your bank account may be hacked, call customer support service and find out the time of your last online session. Lock the account if you find out that someone got access to your credit cards. First of all, reset passwords of all major accounts such as financial. Do not use simple passwords, because they may be hacked again. Create strong random passwords for every online account and write them down. Remember that your personal information is now well-known for another person, so avoid using passwords that are easily associated with the stolen data. Check using a reliable software whether your computer was infected by viruses. A person who breached your security may want to get continuous access to your gadget by installing spyware. So, be sure to detect it before it is too late. Now, it is high time to update your antivirus system and install all the important security updates. This way, you will remove vulnerabilities in your device and prevent future hackers’ attacks. Now you know how to be a good digital citizen. Take these actions right after you find a security breach and use the right ways to stay safe online!